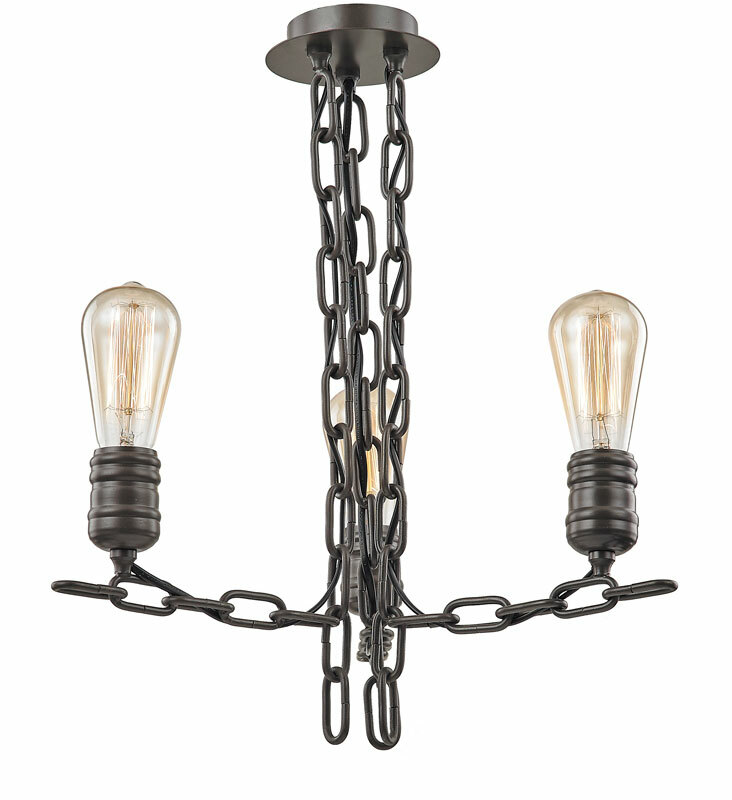 This Franklite Linky 3 light semi flush ceiling light with antique finish ironwork and rigid chain design is suitable for contemporary, country or vintage settings. Circular 11cm diameter ceiling mount and curtain of hanging rigid chains forming the body. 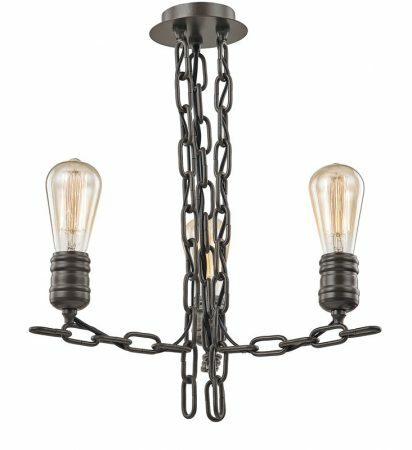 Three straight rigid chain arms radiate from the base, with an upward facing lamp holder designed for bare vintage style lamp bulbs. Ideal for any small bedroom, hallway, dining room or living room with limited ceiling height. There are matching fittings in the Linky antique finish lighting range, please scroll down the page to view. This stylish light is supplied by Franklite Lighting who have been one of the pioneers in the design, manufacture and distribution of high quality lighting such as the Linky 3 light semi flush ceiling light with antique finish ironwork and rigid chain design you see here.